The island of Hawaii is the largest and the southeastern-most of the Hawaiian Islands, a chain of volcanic islands in the North Pacific Ocean. With an area of 4,028 square miles (10,430 km2), it is larger than all of the other islands in the archipelago combined and is the largest island in the United States. The island is often referred to as the “Big Island” to reduce confusion between the island and the state. You’ll find ten out of thirteen of the world’s climatic zones within this island’s shores. 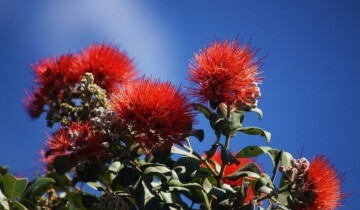 All year-round the Big Island is, for the most part, warm and tropical. The immense size of the Hawaiian Island creates a microcosm of environments. Weather on the Big Island of Hawaii changes as rapidly as the terrain around it. In some areas rainfall can be absolutely zero, not a drop falls all year long; and the terrain looks dry and barren. 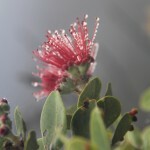 In other areas it can be rainy every day of the year (like Hilo or Puna), creating a tropical greenery for visitors who enjoy that type of environment. It’s easy to feel awed on Hawaii Island. From the molten magma flowing from Hawaii Volcanoes National Park to the snow-capped heights of Mauna Kea; from the green rainforests of the Hamakua Coast to the jet-black sands of Punaluu Beach; Hawaii Island is an unrivaled expression of the power of nature. 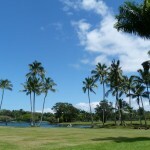 The Big Island has two main residential areas, Hilo on the east side and Kailua-Kona on the west. With a population of almost 50,000 in the entire district, Hilo is the fourth-largest city in the state. 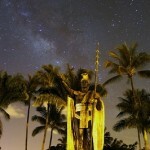 Hilo is home to the University of Hawaii at Hilo, Imiloa Astronomy Center of Hawaii, as well as the Merrie Monarch Festival, a week-long celebration of ancient and modern hula which takes place annually after Easter. The town overlooks Hilo Bay, situated upon two shield volcanoes; Mauna Loa, an active volcano, and Mauna Kea, a dormant volcano and the site of the world’s most important ground-based astronomical observatories. The Hilo Farmers Market is a must-see experience when you are on the Big Island. The market is fully open on Wednesdays and Saturdays years round where over 200 local farmers and crafters sell their produce, crafts, gift items and tropical flowers in a festive outdoor atmosphere. With an average rainfall of 130 inches per year, the east side of the island has so much more precipitation than the western Kailua-Kona side. You will see the spectacular waterfalls, mysterious jungles, emerald fields, and stunning ocean vistas along Highway 19 northwest of Hilo. 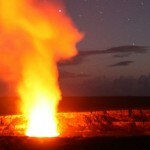 Kailua-Kona, on the other hand, is on the dry side of the island – the hub of tourism. You’ll find everything from extravagant resorts and incredible golf courses to sacred Hawaiian historical sites, from the birthplace of King Kamehameha I to Hawaii’s first missionary church in Historic Kailua Village. 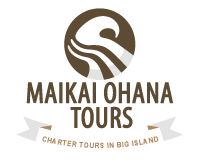 With so much to see, it’s best to experience the island in several visits.